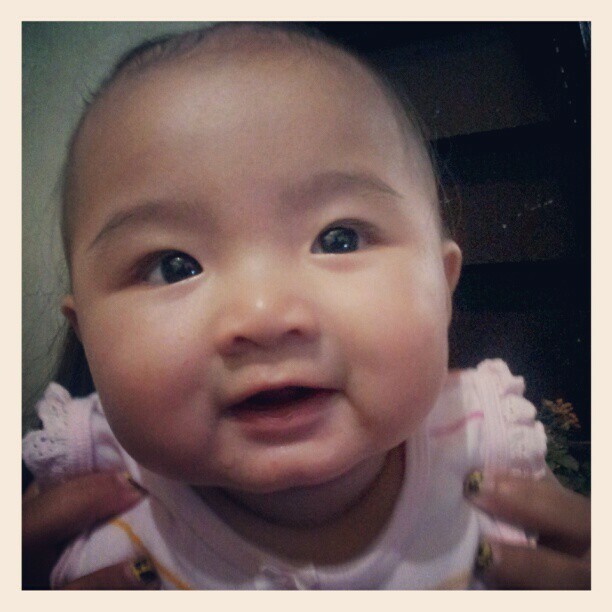 Say hello to my very cute niece bebe Julia!! Aint she the cutest? She’s currently staying with us until her dad (my younger brother) gets ready to go back sailing. Love loveee bebe. Sooo cute and behave, wanna pinch her chubby cheeks all the time, she cries only when hungry and when it’s hot (well, I don’t have an aircon in my apartment and I don’t intend to have one). Must get her new kids ceiling fans, the ones we have at home is too strong and big for her. You know, I can understand better the joy of being a mom now that I am an Aunt. Shoutout to dear friends who are enjoying their new roles as first time moms – Amy, Rochelle, Rhea, Janice and Syana. I know you guys must be feeling inexplicable happiness, congrats and God bless you on your motherhood. Happy for you and I envy you guys a lotttt! Wanna have my own babies soon! Love you bebe, hope you grow up nice and God-fearing and smart. Mwhugs!